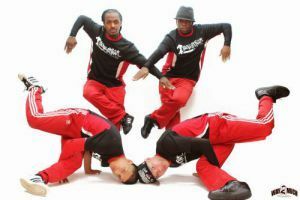 The Soul Street Dance troupe has been described as one of the premier dance companies in existence. These four high-energy Houston-based dancers will perform its “Breakin Backwards” show at 7:30 p.m. today in Ashmore Fine Arts Auditorium, Building 8, on the Pensacola campus, 1000 College Blvd. Made up of – co-founder and director Javier Garcia, co-founder Rock Williams, Cedric D. Hicks and Roy Ramirez ─ Soul Street Dance’s repertoire ranges from the music of Vivaldi to rock ‘n’ roll to hip-hop and everything in between. Appealing to all ages and ethnicities, Soul Street Dance incorporates technical and artistic skills and amazing stage presence into its routines.